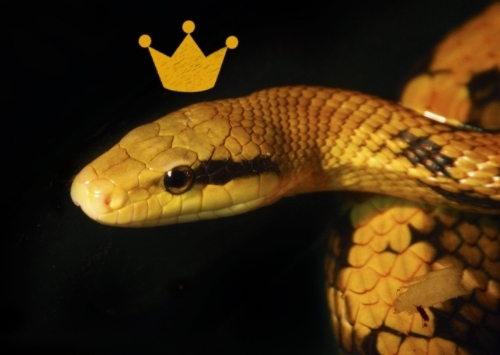 My favourite fairytale, mostly for its oddness, is The Snake Who Became The King’s Son-In-Law or as I call it, ‘Herp: The Snake Who Was His Own Boostrap’. The old man went off to bed. What did the snake? He arose and made the forest a level plain, and sowed millet, and thought and thought, and it was grown up by daybreak. When the old man got up, he finds a sack of millet, and he made a cake with sweet milk. The old man took the cake and went to the king. The snake said, ‘Fear not, father, for I will do as the king said.’ Then the snake thought and thought, and the golden bridge was made as the king had said. The snake did that in the night-time. The king arose at midnight; he thought the sun was at meat [i.e. it was noon]. He scolded the servants for not having called him in the morning. The servants said, ‘King, it is night, not day’; and, seeing that, the king marvelled. ‘As God wills with her,’ said the king. Then he called many people and held the marriage; and they kept it up three days and three nights, and the marriage was consummated. And I came away and told the story. Cf. Hahn’s No. 31, ‘Schlangenkind’ (i. 212) and notes, but the stories are not identical; and his No. Too, especially the note (ii. 313) for Indian version. Wratislaw’s Croatian story, No. 54, ‘The Wonder-working Lock,’ p. 284 (see under No. 54), offers striking analogies. Cf. too for cobra palace, Mary Frere’s Old Deccan Days, p. 21. This entry was posted in Fairytale and tagged fairytale, roma.